Last Friday, Michael Houlihan and Martin Jones were honored at VinoPro’s award dinner at Benziger Winery in Glen Ellen, CA. Martin and Michael’s wine country consulting business, Houlihan and Jones, was responsible for helping to establish the business foundations necessary for this company’s incredible success. 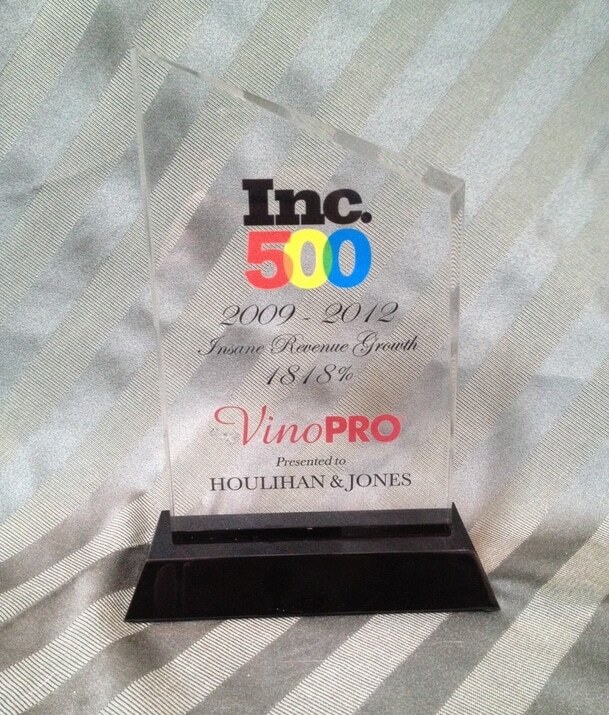 VinoPro, is now the largest outbound, outsourced, telemarketing company in the wine industry specializing in direct to consumer wine sales support. 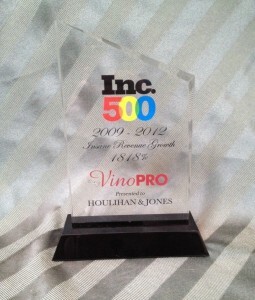 We’re very proud to see our client recognized as achieving the Inc. 500 status for “Insane Revenue Growth” from 2009-2012.